Location: Fairmont, Upper Canada Room, 18th fl. 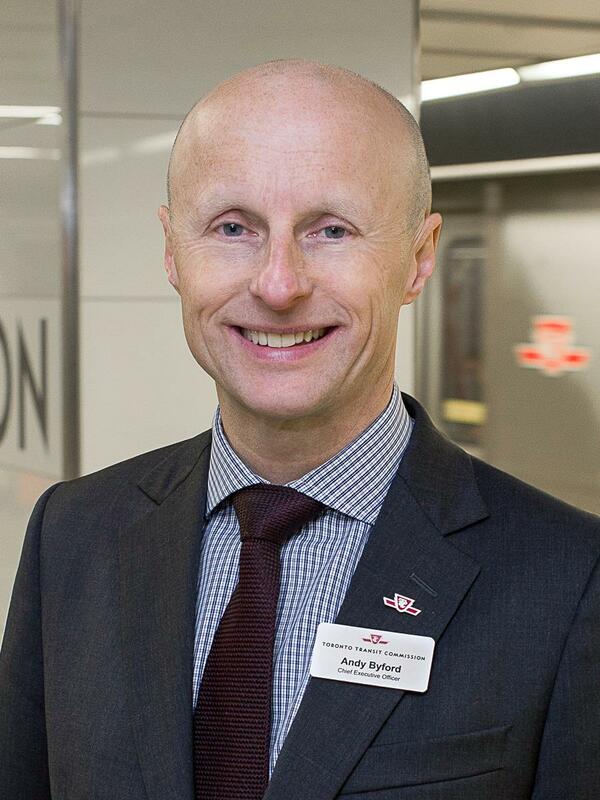 Andy Byford was appointed Chief Executive Officer of the Toronto Transit Commission in March, 2012. As such, he leads the largest transit agency in Canada, and the third largest in North America, carrying over 540 million riders on an annual basis. Mr. Byford initially joined the TTC as Chief Operating Officer in November, 2011 and was responsible for the delivery of safe, punctual, reliable bus, streetcar, SRT, subway and Wheel-Trans services. From 2009 to 2011, as Chief Operating Officer of Rail Corporation, Sydney, Australia, Mr. Byford delivered service to a million customers a day on Australia’s largest transit network. From 2003 to 2009, he held the positions of Operations Director and Operations and Safety Director with Southern Railway and South Eastern Trains Limited, UK. During his tenure with London Underground from 1989 to 2003, he held a variety of managerial positions including Group Station Manager, Kings Cross and General Manager – Customer Service for three of the busiest subway lines. Mr. Byford is a graduate of the University of Leicester from which he was awarded a B.A. joint honours degree in French and German. He also holds a Diploma in Transport from the University of London. Andy is from Plymouth in the United Kingdom. A member of the Institute of Railway Operators, he is married and lives in Toronto.